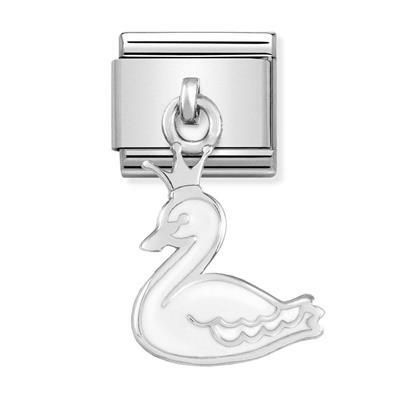 This Nomination Hanging White Swan charm is the perfect gift. It features a swan hanging off of the charm which has a silver crown. This charm would add a personal touch to any Nomination charm bracelet. The Hanging White Swan charm is made from Stainless Steel. The symbol is crafted from Sterling Silver and enamel. This charm fits on a classic sized starter bracelet.